If the world did not have conveyor systems then we would be employing human labor to transport materials. Conveyor systems are an emphatic piece of technology which are basically mechanical handling machines used to transport materials from one spot to another. One can find conveyor systems installed at airports, shipyards, retail stores, packaging plants, etc. Conveyor systems allow the process of transporting materials from one place to another fairly convenient than any other means. Industrial conveyors can hold up heavy materials, machinery and bulky items for seamless and convenient transportation. With the introduction of conveyor systems, transportation of bulk materials can be carried out easily. They can withstand the different environment, fluctuations in the weather, as well as carrying items at odd angles. Fluent Conveyors LLC is leading in the conveyor manufacturing and engineering industry. It has a plethora of conveyor-types including Roller Chain Belt Conveyors, Drag Chain Belt Conveyors, Slider Bed Conveyors, Trough Idler Conveyors, and Package Handling Conveyors. The company operates in the industry of package handling, recycling, manufacturing, retail, and distribution, with clients as large as Proctor & Gamble, Anheuser Busch, and Unilever. Conveyor belts and systems are specially designed with the purpose of moving big and small items from one place to another, on angles of elevation and depression. This makes it easier, convenient to transport items and it also saves a ton of time. 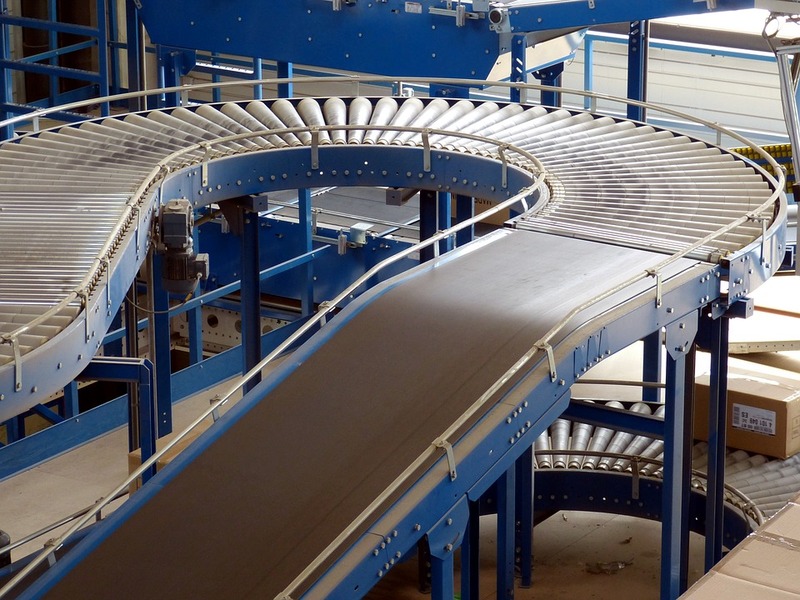 Conveyors are also highly durable, meaning that they can be employed once and used for years to come. The machinery can also be designed to move large parts from one floor to another, to make it further easier for industries. There is absolutely no limitation of height when transporting. There are also conveyors which are equipped with automated incline belts. This allows unloading materials automatically, thus, further eliminating human labor. Plus, it also saves time and is a cost-effective process. You do not have to employ a person to perform the task at each conveyor. Moving speed of the belt can be controlled and this is how there is the least chance of items colliding with each other, falling over and even breaking. Handling problems are dealt with easily. Conveyor systems can be moved in both directions which allows materials to move between opposite ends. With that being said, it is also reported that Fluent Conveyors are set to enter the markets of Canada and Mexico by the year 2020.